Remember back when everybody was concerned about what would happen when the clock struck midnight on New Year’s Eve 1999, heading into the year 2000? It was a weird time, but Toyota wasn’t worried. 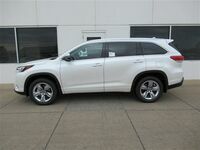 They were too busy building a new utility vehicle that would very quickly become the incredibly popular Toyota Highlander, and just two decades later the 2019 Toyota Highlander in Moline IL would be turning just as many heads as the original model. After a fairly substantial mid-generation facelift for the 2017 model year, the new Highlander hasn’t undergone many changes at all. Even still, it makes a great option in the midsize crossover segment, offering a great blend of performance, efficiency, utility and so much more. It’s packed with outstanding content that’s sure to help you enjoy every experience you have on the road. Let’s first touch on performance. 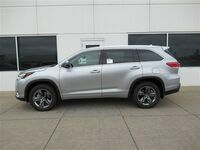 Powered by a 3.5L V6 engine, the 2019 Highlander is capable of generating 295 horsepower alongside 263 pound-feet of torque, while achieving 21 miles per gallon through the city and 27 mpg on the highway. In the lower, more inexpensive trim levels, a smaller 2.7L 4-cylinder engine replaces the V6 to offer 185 HP, 184 lb-ft. of torque and 22 mpg combined fuel efficiency. 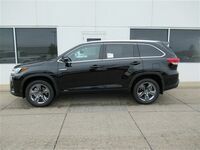 Although performance is a key spec regardless of segment, more important to a crossover like the Highlander is space. Behind the back row of seats is just 13.8 cubic feet of space, which is about the size of a sedan trunk. However, dropping those back seats flat opens up a whopping 42.3 cu. ft. of space, meaning that most likely the only time you won’t have an overabundance of space to utilize is when you have to squeeze passengers into that back row. If 42.3 cu. ft. still doesn’t cut it for certain loads, then you can drop the middle row as well to open up 83.7 cu. ft. 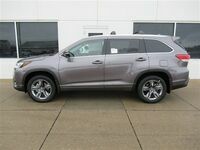 These specs & features only begin to scratch the surface, so if you’re interested in learning even more about the 2019 Toyota Highlander don’t hesitate to give us a call right here at Hiland Toyota.